In a city of 8.8 million people, you’d be surprised. Surprised at how many times your path crosses with that stranger you spotted on the other side of the street. Surprised at how lonely living in a busy city can feel. Surprised that falling in love – against all the odds – is just about possible. Daisy is rushing to work when a stranger on a bicycle almost knocks her over – and then asks for her number. JoJo, a wife in her sixties, is trying desperately to win her beloved husband back from his mistress. Adam has recently lost his job and lies to his housemate about where he goes every day. Dylan, a teenage boy, lives with an illness which means he can’t leave his bedroom – but which hasn’t stopped him falling in love. These four total strangers – whose paths cross in the charming and crazy city of London – have one thing in common. They’re all looking for love and they’re totally hopeless at it. But that’s about to change. A hilarious, uplifting and heartfelt novel about love, life and finding happiness. 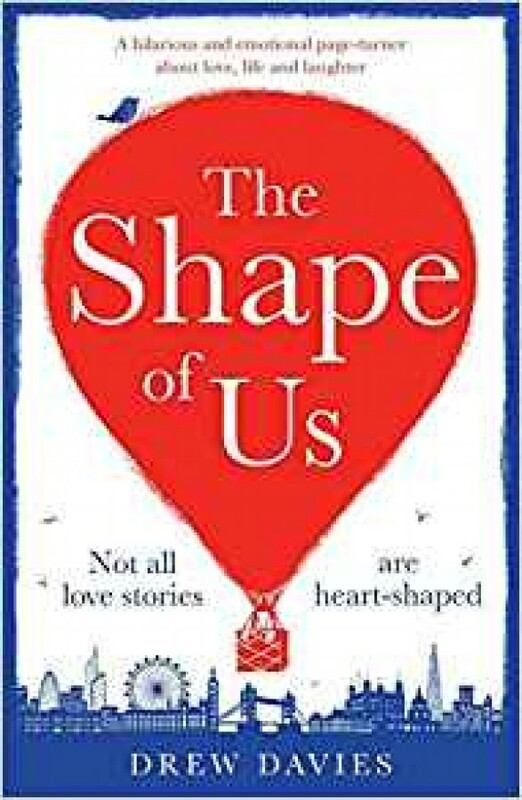 If you’ve ever made a mistake, suffered a break-up, waited by your phone for it to ring or loved someone from afar, then The Shape of Us is for you. A charming and joyous debut for fans of David Nicholls, Zoe Folbigg’s The Note and Jules Preston’s The Map of Us.